Cars are frequently an expression of their owners' personalities and the wealth of examples included here along with their owners' stories are testament to the importance many of us attach to safeguarding this personal space while making it our public face. 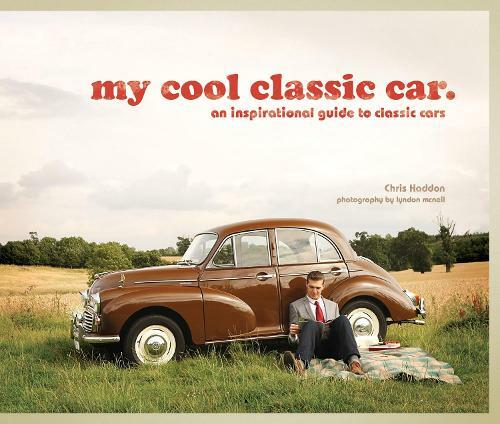 my cool classic car features 40 vehicles from around the world, including the small but perfectly formed Fiat 500, the Bavarian Goggomobil, Willys WW2 Jeep, the Plymouth Belvedere with its extraordinary trademark wings, the popular and trustworthy Morris Minor and the Mini, the design success of the 1960s. The book also includes details of extraordinary journeys (some short and some long) that some of these cars have made - London to Mexico; 2000-mile round trips to Italy; and forgotten time capsules untouched for decades along with heartwarming stories of how a car has become a priceless part of the family. The book uses high-quality, stylish photography to capture the beauty of these cars set against attractive backdrops. The photography focuses on the design specifics which have earned these cars the label 'classic'. The owners' stories and accompanying vehicle notes (which explain the influence of car design on the wider design community) offer interesting insights as well as inspiration to the design conscious.